It's always exciting to see the incredible talent of Canada's photographers and 2015 has been no exception! Thank you to everyone who participated in voting on Facebook and congratulations to all of this year's finalists! 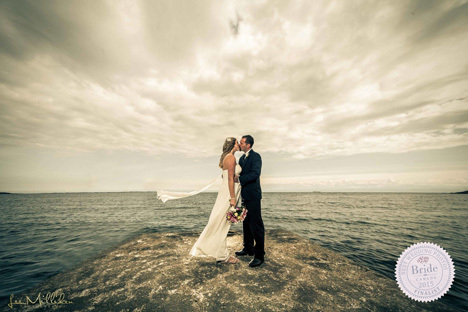 We are highlighting the Top 12 Best Wedding Photos of 2015 and hope you love these amazing photographs as much as we do! The winning photo! 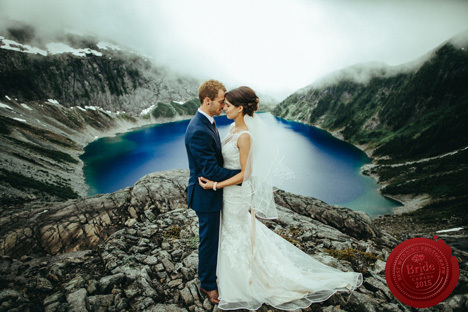 "Mountain Embrace", Rebekah and Carson, photographed by Luke Liable, of Luke Liable Photography, in Vancouver, BC. Special mention to Luke, who also photographed the Best Engagement Photo of 2015! This is the first time in the history of our contest (which launched in 2009), that one photographer has claimed both top spots. Congratulations, Luke: your artistry and talent is inspiring to us all! First runner up for best photo of 2015 is awarded to "Through the Fields", Becca and Josiah, photographed by Adam and Raina of Stick Productions, in Estevan, SK. 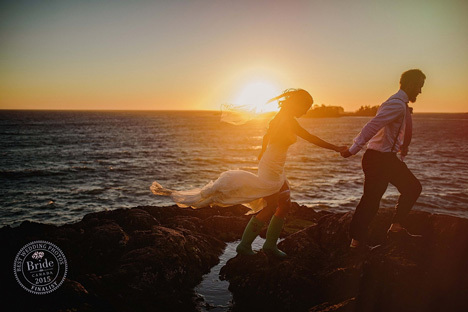 Second runner up for best wedding photo of 2015 is awarded to "As the Sun Goes Down", Lindsay and Daryl, photographed by Erin Wallis of Erin Wallis Photography, in Tofino, BC. 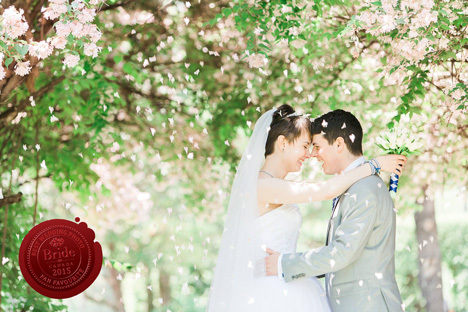 Fan favourite and third runner up for best photo of 2015 is awarded to "Under the Cherry Blossoms", Marie-Claire and Patrick, captured by Samantha Ong of Samantha Ong Photography, in Toronto, ON. 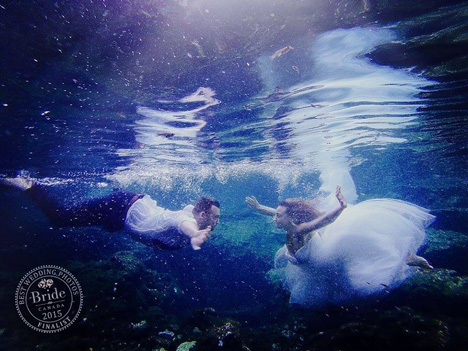 5th place is awarded to "Underwater Rendezvous", daring couple Kaija and Nathan, captured by Martine Sansoucy of Martine Sansoucy Photography, in Sasktoon, SK. 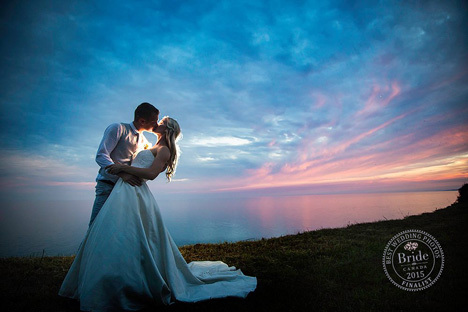 6th place goes to "Cotton Candy Skies", Jess and Ivan, captured by Wes Robitialle of Love Knots Wedding Photography, in London, ON. 7th place for best photo of 2015 is awarded to "Playful Bride", Tori and Benjamin, photographed by Sarah Sinkwich of Timelapse Productions, in Sylvan Lake, AB. 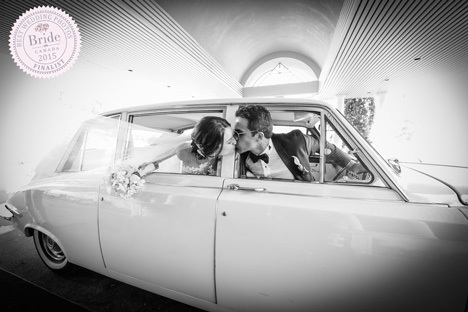 8th place for best photo of 2015 goes to "Vintage Car Kiss", Sandrine and Chafic, photographed by Alesya Kornetskaya of La V image Wedding Photography, in Montreal, QC. 9th place is awarded to "Quiet Reflection", Dinah and Tobias, captured by this year's overall winner, Luke Liable, Luke Liable Photography, in Vancouver, BC. 10th place for best photo of 2015 goes to "Lakeside Snuggle", Skylar and Cody, photographed by Holly of With Love Photography, in Nanaimo, BC. 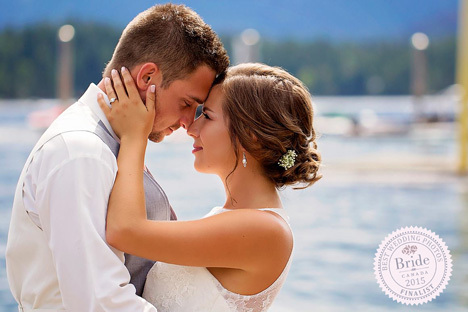 11th place for best photo of 2015 goes to "Love Prevails", Brooke and Dennis, photographed by Lee Milliken of Lee Milliken Photography of Victoria, BC. 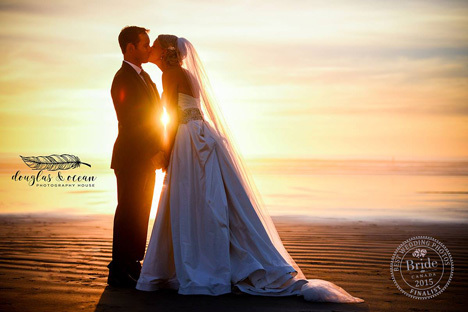 Last, but certainly not least, 12th place for best photo of 2015 goes to "Golden Hour Kiss", Jennifer and Bryan photographed by Ocean Simone Shine of Douglas & Ocean Photography House of Tofino, BC. Looking for more?! 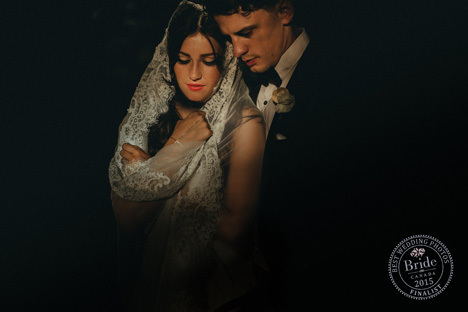 See the Best Engagement Photos of 2015 here.